YANGON—Thirty years ago, the historic nationwide protests known as the “8888” uprising, or the People’s Democracy Movement, peaked on Aug. 8, 1988. The protests began as a student movement, then spread throughout the country. A song was released at the time that became an anthem for the millions of people who were fighting for their country. It is called “Kabar Makyay Bu” (We Won’t Be Satisfied till the End of the World) and was written by composer Naing Myanmar. The tune wasn’t original — the song was set to “Dust In the Wind” by Kansas — but the song’s lyrics were written to encourage the protesters. 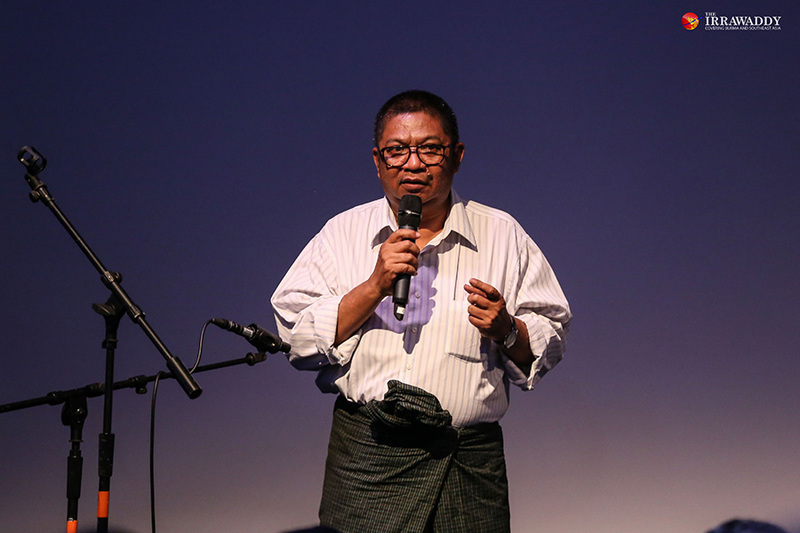 “Actually, it should have been an original tune but I didn’t have much time to create a song with a cool mood at the time,” said Naing Myanmar at the “Kabar Makyay Bu” pearl jubilee celebration event held on Aug. 8 at the Goethe Institut Yangon. 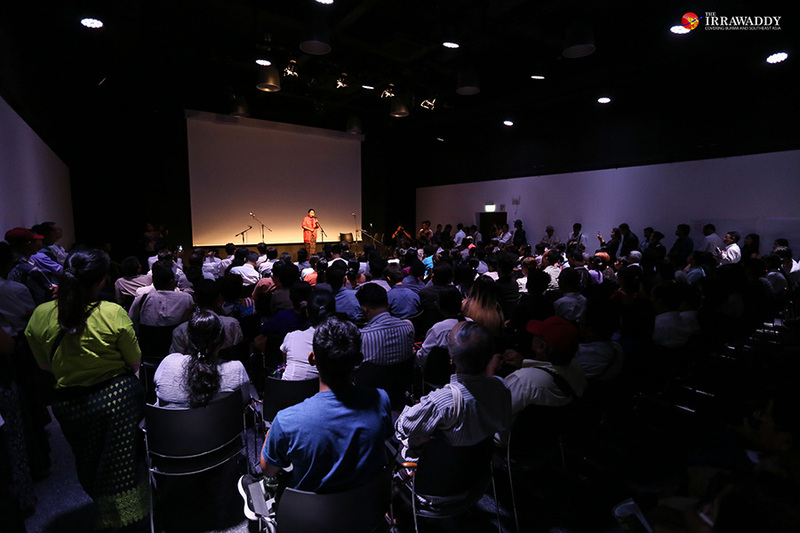 The event to mark the pearl jubilee of the song “Kabar Makyay Bu” was an emotional one, with many student activists recalling their memories and sharing them with the audience. After he wrote the song, he started looking for youth who could perform the vocals. “There were a lot of protesters; it was like a sea of people. If 14 people, including myself, were to join them, it wouldn’t benefit them much, but we thought we must do something encouraging for them. I started to explain it to the 13 students and convinced them to make the song,” he said. 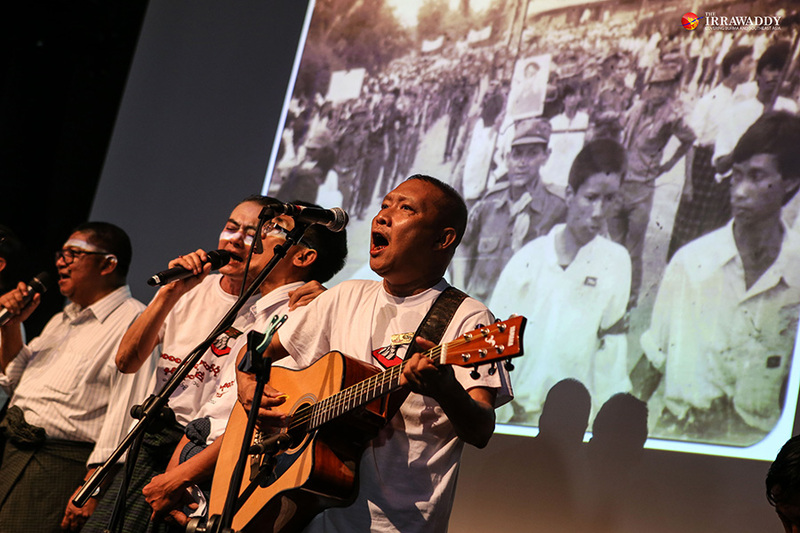 While the military was taking up arms, Naing Myanmar hoped his music could serve as a form of nonviolent protest. He wrote the song by candlelight at his home, which didn’t have electricity. He was about 30 years old at that time. “I was the oldest one in the group and the others were around 20 years old. No one had much money. We put together as much as we could, then went to the cheapest recording studio in the city,” Naing Myanmar recalled. The only music format available in Yangon at the time was cassette tapes. He and his friends had some at home. Using a double cassette player, you could copy tapes. “So, we collected used tapes from home, and from friends, and asked everyone because we needed to spread the song as far and wide as possible,” he said. The group used only three non-professional guitars to play the song, and made a basic recording at a studio. Then, they took copies of the tapes to all the protest sites by car. Naing Myanmar and his group put a lot of effort into the song and put it out at great personal risk. Strangely, however, his achievement has never been celebrated in the years since the uprising. “This year’s event is the first celebration of the song and has been put together with the small amount of money we were able to raise. I didn’t accept money or trophies from anyone or from any official political organizations, because I don’t want to destroy the image of the song and am still loyal to it,” Naing Myanmar said. He does not seek awards for his song, because the demands of the protesters have yet to be realized, and full democracy has yet to arrive, he said. “When some organizations asked me to accept an award for the song, I said to myself, “Do I deserve an award? Have we been successful?” Naing Myanmar said. After the uprising ended, he struggled to make a living because the military government held a grudge against him. “They marked me as an enemy of the regime and refused to allow what I wrote to be distributed. The censors did not clear albums that included my songs. So I lost fans, but that was nothing compared to the loss suffered by the activists who were killed during the uprising,” Naing Myanmar said.